Not only do our windows reduce the likelihood of burglary, they can also withstand harsh weather and wear and tear. The appearance and sturdiness of these windows are easily kept, they have been designed to provide the best protection and look even when exposed to weathering. With the occasional scrub down with warm, soapy water and a sponge you can expect your windows to keep looking brand new for years on end whilst remaining highly secure. If you’ve had your windows for a few years now or notice that its aesthetics or functionality is worsening then your home and possessions could be at risk. Although cases can be rare, theft and unlawful entry is still an existing problem and you never know when you could be a target. If you consider newly improved PVCu windows you will be rewarded with many benefits alongside added security. Our choices of PVCu windows are visually pleasing, contemporary and durable, providing optimum quality for a competitive price. If you want to provide further safety for your home and family then Elite Windows can advise you with the best possible option for windows and furthermore guide you with how you will benefit from the installation. Whether it’s in terms of retaining heat in your homes or with providing you and your family with the sense of security, how secure are your windows? Most homes are built with standard PVCu or wooden windows, which do not offer maximum energy conservation or durability. As most homes were built many years ago, if your windows haven’t been upgraded or replaced there’s a high possibility that you could be losing heating and be exposing yourself to less security. Whether it’s a domestic or commercial property you own, if you want to protect you, your family or your valuables you should soon think about investing in newly improved windows, whether they’re PVCu or aluminium. Unfortunately there is a large risk of theft crime in the UK and all burglars need to break into a home easily, are weakened windows. If you notice any cracks, splits or deterioration of your windows whether it’s the framing or glass, Elite Windows would highly recommend looking for replacement windows. Liniar windows or double-glazing would be your best option for increasing security. Enhancing how safe your property is would also enhance how energy efficient your home/business will be. By installing new PVCu windows you can have a police-backed initiative that your windows are safer, especially if you get them from a reputable business. 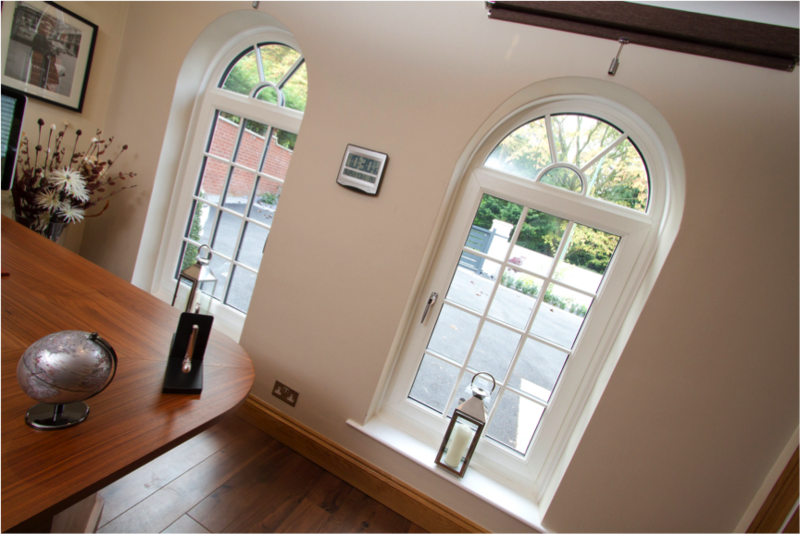 Our collections of PVCu windows have been carefully manufactured to provide greater energy efficiency and certainty to your home. Investing in our availability of PVCu window can ensure you a future proofed outcome. By replacing your windows with newly updated PVCu windows, you can be sure to still achieve the highest standards even in 20 years time. Energy efficiency plays a big part of security, not in terms of safety but with keeping temperatures maintained inside, reducing energy bills in the long term. Most homes have windows, which consistently allow 20% of your heat to be lost whenever you turn the central heating on. Whether it’s financial security or safety for you and your household that you’re after, starting with your windows is sure to make an excellent improvement. If your windows have damaged locking systems or don’t have any at all then Elite Windows would highly suggest installing locks, which secure deep into the framing material to prevent forced entry more effectively. You wouldn’t usually consider windows to be secure however if you install the correct glass and framing your home could be titled safer than ever. Windows are the prime entry targets for criminals, which are why Elite Windows have created products, which have reinforced properties to prevent easy access. By changing the glass to double-glazing not only do they make your home warmer, this variety of glass is also much more impenetrable.